Green Street Village - Don't miss the deck and fenced yard too! 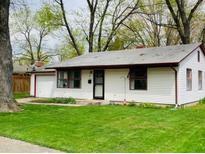 MLS#21626953. F.C. Tucker Company. Oaks At Windridge - Epoxy floor in garage and basement. MLS#21626703. McNulty Real Estate Services,. Oaks At Windridge - Be the ultimate host and enjoy all the luxury this home has to offer. 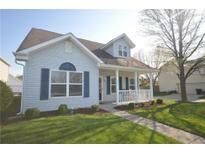 MLS#21626296. F.C. Tucker Company. Roof 2015, Newer 90% eff HVAC. MLS#21626403. F.C. Tucker Company. So be the ultimate host and enjoy all the luxury this home has to offer. MLS#21626473. Instate Realty, LLC. The walkout daylight basement is plumbed for a full bathroom. MLS#21616588. CENTURY 21 Scheetz. 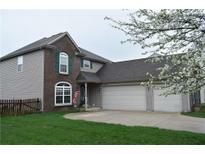 Great Location In The Heart Of Brownsburg! MLS#21625849. RE/MAX Centerstone. 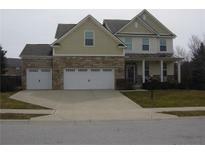 Country Walk - You will love its prime location, close to all of Brownsburg’s nationally ranked schools, shopping, hospitals, and restaurants. MLS#21626445. 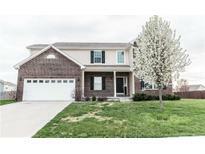 Brownsburg Homes Realty. Fenced in backyard gives you privacy on large wooden deck to enjoy nature with mature plants in spring and summer time. MLS#21625896. Front Porch Real Estate, LLC. 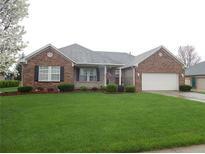 Clermont Heights - Finished, detached garage with workshop and electricity. No HOA. MLS#21626326. Carpenter, REALTORS®. Northridge - Staked survey shows lot as 0.51 acres. MLS#21626070. Stringer & Associates. 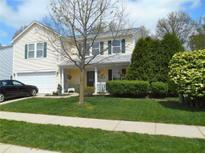 Birch Run - New HVAC, Irrigation, Heated Garage, Custom hardscape and patio, Large yard. MLS#21626059. NextHome Connection. Creek By The Woods - Private entrance to popular Williams Park at end of the street. Peaceful living abounds! MLS#21625430. CENTURY 21 Scheetz. Please note additional square footage is not reflected by the assessor. MLS#21625822. 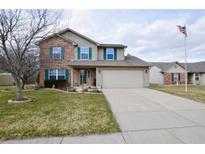 Keller Williams Indy Metro S.
Rolling Hills - Original hardwood flooring under the carpeting!! ! MLS#21625543. RE/MAX Centerstone. Lincoln Pointe - You will love walking into this lovely home with formal living/dining rooms and dual stairway*Roomy kitchen with quartz counters, stainless appliances and lots of cabinets/storage space and pantry*Breakfast Nook with french doors leading to beautiful fenced backyard with Hot Tub*Family room with fireplace*Master Suite with garden tub, separate shower, his/her sinks and huge walk-in closet*Laundry room with cabinets*Enjoy entertaining in the finished basement with bonus room, exercise area, office and storage room. Lots of updates! MLS#21624246. F.C. Tucker Company. Clermont Heights - Absolutely nothing to do here but move in, kick back and relax. MLS#21624145. Bowman & Associates, LLC. 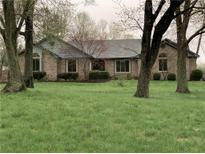 Oaks At Windridge - POPULAR UPSCALE nghd w/easy access to I-74, I-65, I465 & 86th St MLS#21623845. Carpenter, REALTORS®. Highland Green - This home is truly a 10. MLS#21623387. F.C. Tucker Company. 10 year transferrable warranty and customer care program. MLS#21622869. 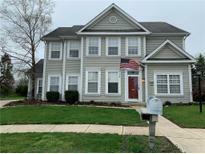 Mint2Sell Realty, Inc..
Oaks At Windridge - There's something for everyone in this home. MLS#21622477. Taylor Penrod Realty. It even has upgraded Hardy Plank cement board siding! Come see it today! MLS#21618854. Metropolitan Realty Group. LLC.